Olives have come a long way from being an accompaniment to your martini or an adornment to the relish tray. They impart pungent flavor and color when you toss some into a pasta or rice dish, salad or stew. Green and black olives are not different types of olives but indicate degrees of ripeness. As they ripen on the tree, olives turn from pale green to reddish brown, and then to black. The darker the olive, the higher the oil content. High oil content means a richer flavor. 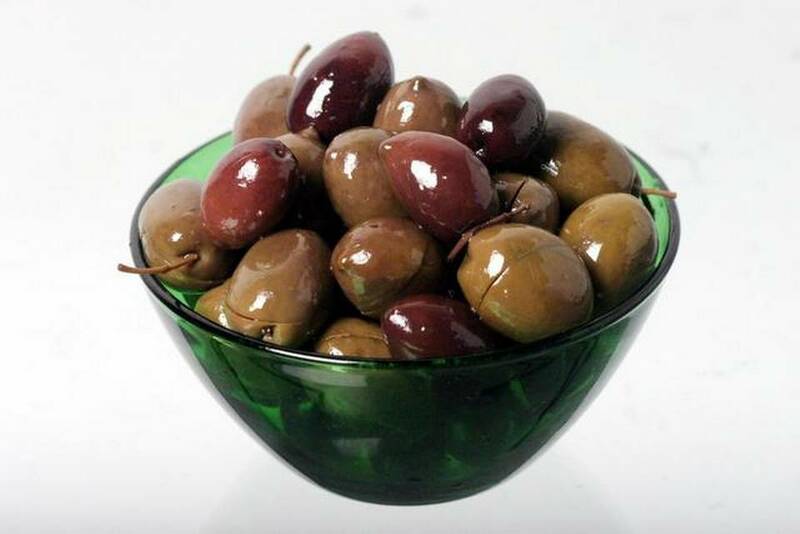 Olives are packed with nutritional value – vitamins E and A, and calcium and potassium. The darker the olive, the higher the oil content. High oil content means a richer flavour. Some varieties are best picked green, like the Spanish Manzanilla and the French Picholine. Dark black olives like Greek Kalamata or French Nicoise develop their buttery taste when picked ripe. Black olives are usually sold whole, while many of the green olives are pitted and stuffed with pimento, almonds, anchovies or tiny onions. This entry was posted in Chalkidiki Olives, green olive products, Health, Health-Nutrition, Inolivia olives, Inolivia Tapenade, Marinated Olives, Processing and tagged Chalkidiki Green Olives, Inolivia Rich Olive Flavours. Bookmark the permalink.